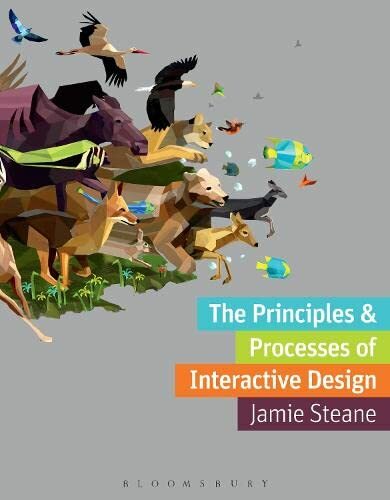 [PDF] The principles and processes of interactive design (Required Reading Range) | Free eBooks Download - EBOOKEE! Posted on 2017-11-27, by luongquocchinh. Description: The Principles & Processes of Interactive Design is aimed at new designers from across the design and media disciplines who want to learn the fundamentals of designing for interactive media. This book is intended both as a primer and companion guide on how to research, plan and design for increasingly prevalent interactive projects. With clear and practical guidance on how to successfully present your ideas and concepts, Jamie Steane introduces you to user-based design, research and development, digital image and typography, interactive formats, and screen-based grids and layout. Using a raft of inspirational examples from a diverse range of leading international creatives and award-winning agencies, this is required reading for budding digital designers. In addition, industry perspectives from key design professionals provide fascinating insights into this exciting creative field, and each chapter concludes with workshop tutorials to help you put what youâ€™ve learnt into practice in your own interactive designs. Featured contributors include: AKQA, BBC, Dare, Edenspiekermann, Electronic Arts, e-Types, Komodo Digital, Moving Brands, Nordkapp, Onedotzero, Onformative, Preloaded and Razorfish. No comments for "[PDF] The principles and processes of interactive design (Required Reading Range)".